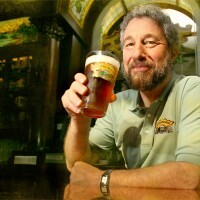 Amahl Turczyn, assistant editor of Zymurgy magazine, takes a stab at Sierra Nevada’s Ruthless Rye in the July/August 2012 Zymurgy, which makes use of proprietary experimental hops in the aroma and dry hop charges. Reliable sources have said the brewery’s mystery hops are similar to a blend of Columbus and Amarillo, so those have been used as stand-ins. With a name like Ruthless Rye, you’re certainly in for something hearty and rustic. 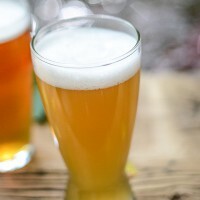 You’ll experience strong hop flavors due to dry hopping, which allows the aromatic oils and resins to be absorbed into the beer without an overpowering bitterness. 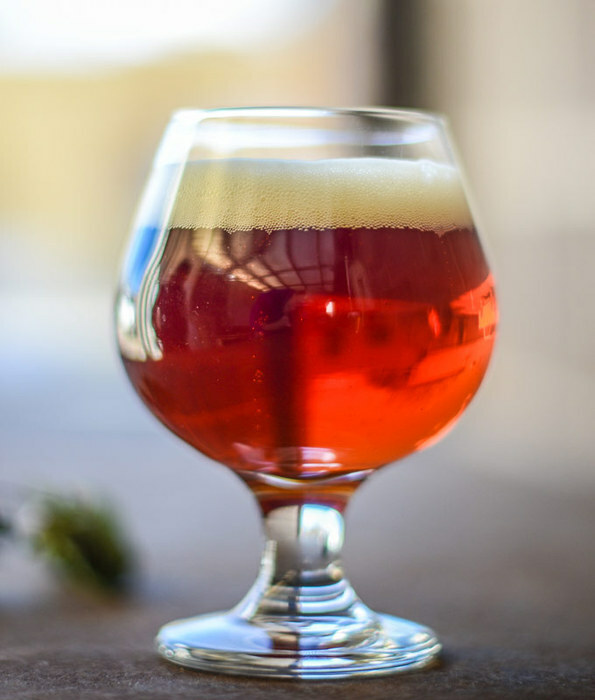 When you add in rye’s spicy, black pepper flavor and dryness with the complex fruity, floral and herbal hop profile, you’ll end up with a balanced beer with incredible flavor, bringing the rye and hops to life finished with a ruthless, hoppy kiss. 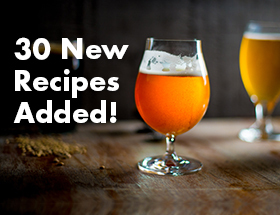 Needless to say, even the boldest hop heads will be inspired and impressed. Check it out below and give it a shot! To brew this Ruthless Rye clone, mash grains at 154°F (68°C) for one hour. Mash out at 162°F (72°C) for 10 minutes, then raise to 172°F (78°C) and commence sparge. Boil for 90 minutes. Use rice hulls if a rye-induced stuck sparge is a concern. Steep aroma hops for five minutes at knockout and proceed with wort chilling. Ferment at 68°F (20°C) until finished, rack on to bagged, weighted dry hops and hold for three days. Remove dry hops. Crash cool and condition the beer for at least a week before packaging. Mini-mash version: Substitute 7 lb (3.18 kg) pale malt extract syrup for the pale malt. Mash rye malt at 154°F (68°C) with crystal and chocolate malts for one hour. Rinse grains, dissolve extract completely and commence boil.